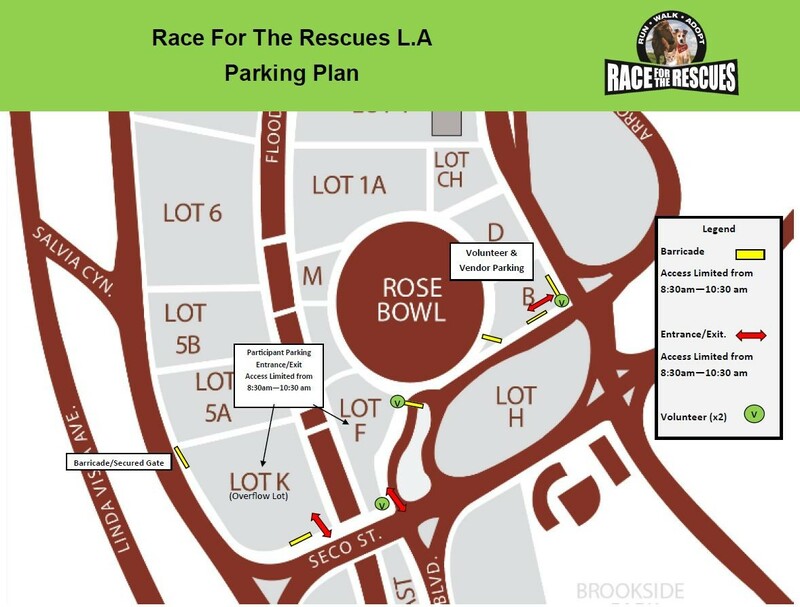 Race For The Rescues will be Saturday, October 12, 2019 at the Rose Bowl - AREA H Address: 1001 Rose Bowl Drive, Pasadena, CA 91103. To find Area H look for the symbol of the rose on the stadium and our start/finish line is right outside the entrance. Free parking in LOT F.